Death of a loved one is frequently cited as one of the most stressful life events, along with divorce, job loss and sudden illness. Death is unpredictable and can leave family and loved ones grieving, struggling for answers and suddenly with an estate to manage. Questions often come up after the death of a loved one about how to distribute assets and property and how to settle debts. 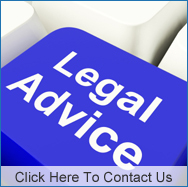 Seeking legal advice is advisable to ensure that this process is followed correctly, according to state law. Kallemeyn & Kallemeyn specializes in probate law and can help your family navigate the legal issues around the estate so that you can focus on healing. How Do You Know If You Need A Probate? A probate is the court ordered process of distribution of the estate after the death of an individual. The probate process ensures that a deceased person’s will is valid and that the property is distributed as the will outlines. This process is particularly important if there are questions about the will or if family members decide to contest an aspect of the will. In Minnesota, probate occurs when someone who was a resident of the state at the time of their death passes. The probate process normally takes approximately six months from start to finish and generally costs about $4300 if the probate is uncontested. If the family member leaves a will with specific instructions on how he/she wants assets transferred and there is enough in the estate to cover all debts, then a probate may not be needed. Charles Kallemeyn of Kallemeyn & Kallemeyn has more than two decades of experience in probate law. To partner with him and the Kallemeyn team on any aspect of probate law or estate planning, call (763) 427-5131.